define the digital divide and explain Nielsen’s three stages of the digital divide. The Internet has wired the world. Today it is just as simple to communicate with someone on the other side of the world as it is to talk to someone next door. In this chapter, we will look at the implications of globalization and the impact it is having on the world. Globalization is the term used to refer to the integration of goods, services, and culture among the nations of the world. Globalization is not necessarily a new phenomenon; in many ways, we have been experiencing globalization since the days of European colonization. Further advances in telecommunication and transportation technologies accelerated globalization. The advent of the the worldwide Internet has made all nations next-door neighbors. The Internet is truly a worldwide phenomenon. As of 2012, the Internet was being used in over 150 countries by a staggering 2.4 billion people worldwide, and growing. From its initial beginnings in the United States in the 1970s to the development of the World Wide Web in the 1990s to the social networks and e-commerce of today, the Internet has continued to increase the integration between countries, making globalization a fact of life for citizens all over the world. In 1996, social-sciences researcher Manuel Castells published The Rise of the Network Society, in which he identified new ways in which economic activity was being organized around the networks that the new telecommunication technologies have provided. This new, global economic activity was different from the past, because “it is an economy with the capacity to work as a unit in real time on a planetary scale.” We are now into this network society, where we are all connected on a global scale. The graphical user interface for the personal computer popularized in the late 1980s. Before the graphical user interface, using a computer was relatively difficult. By making the personal computer something that anyone could use, it became commonplace very quickly. Friedman points out that this digital storage of content made people much more productive and, as the Internet evolved, made it simpler to communicate content worldwide. The build-out of the Internet infrastructure during the dot-com boom during the late-1990s. During the late 1990s, telecommunications companies laid thousands of miles of fiber-optic cable all over the world, turning network communications into a commodity. At the same time, the Internet protocols, such as SMTP (e-mail), HTML (web pages), and TCP/IP (network communications) became standards that were available for free and used by everyone. The introduction of software to automate and integrate business processes. As the Internet continued to grow and become the dominant form of communication, it became essential to build on the standards developed earlier so that the websites and applications running on the Internet would work well together. Friedman calls this “workflow software,” by which he means software that allows people to work together more easily, and allows different software packages and databases to integrate with each other more easily. Examples include payment-processing systems and shipping calculators. These three technologies came together in the late 1990s to create a “platform for global collaboration.” Once these technologies were in place, they continued to evolve. Friedman also points out a couple more technologies that have contributed to the flat-world platform – the open-source movement (see chapter 10) and the advent of mobile technologies. The World Is Flat was published in 2005. Since then, we have seen even more growth in information technologies that have contributed to global collaborations. We will discuss current and future trends in chapter 13. The ability to locate expertise and labor around the world. Instead of drawing employees from their local area, organizations can now hire people from the global labor pool. This also allows organizations to pay a lower labor cost for the same work based on the prevailing wage in different countries. The ability to operate 24 hours a day. With employees in different time zones all around the world, an organization can literally operate around the clock, handing off work on projects from one part of the world to another. Businesses can also keep their digital storefront (their website) open all the time. A larger market for their products. Once a product is being sold online, it is available for purchase from a worldwide consumer base. Even if a company’s products do not appeal beyond its own country’s borders, being online has also made the product more visible to consumers within that country. Labor laws and regulations. Different countries (even different states in the United States) have different laws and regulations. A company that wants to hire employees from other countries must understand the different regulations and concerns. Legal restrictions. Many countries have restrictions on what can be sold or how a product can be advertised. It is important for a business to understand what is allowed. For example, in Germany, it is illegal to sell anything Nazi related; in China, it is illegal to put anything sexually suggestive online. Language, customs, and preferences. Every country has its own (or several) unique culture(s), which a business must consider when trying to market a product there. Additionally, different countries have different preferences. For example, in some parts of the world, people prefer to eat their french fries with mayonnaise instead of ketchup; in other parts of the world, specific hand gestures (such as the thumbs-up) are offensive. International shipping. Shipping products between countries in a timely manner can be challenging. Inconsistent address formats, dishonest customs agents, and prohibitive shipping costs are all factors that must be considered when trying to deliver products internationally. Because of these challenges, many businesses choose not to expand globally, either for labor or for customers. Whether a business has its own website or relies on a third-party, such as Amazon or eBay, the question of whether or not to globalize must be carefully considered. Sidebar: How Does My Internet Speed Compare? How does your Internet speed compare with others in your state, country, or around the world? The chart below shows how Internet speeds compare in different countries. You can find the full list of countries by going to this article (http://royal.pingdom.com/2010/11/12/real-connection-speeds-for-internet-users-across-the-world/). You can also compare the evolution of Internet speeds among countries by using this tool (http://www.akamai.com/stateoftheinternet/). Internet speeds by country. Click to enlarge. So how does your own Internet speed compare? There are many online tools you can use to determine the speed at which you are connected. One of the most trusted sites is speedtest.net, where you can test both your download speeds and upload speeds. The digital divide can occur between countries, regions, or even neighborhoods. In many US cities, there are pockets with little or no Internet access, while just a few miles away high-speed broadband is common. Solutions to the digital divide have had mixed success over the years. Many times, just providing Internet access and/or computing devices is not enough to bring true Internet access to a country, region, or neighborhood. One attempt to repair the digital divide was the One Laptop per Child effort. As stated on the organization’s website, “The mission of One Laptop per Child (OLPC) is to empower the children of developing countries to learn by providing one connected laptop to every school-age child. In order to accomplish our goal, we need people who believe in what we’re doing and want to help make education for the world’s children a priority, not a privilege.” Announced to great fanfare in 2005 by Nicholas Negroponte, the OLPC project seemed destined for success. The centerpiece of the project was the laptop itself: an inexpensive computer designed to withstand a lot of punishment. It utilized a revolutionary “mesh” network, allowing the laptops to act as repeaters, extending a Wi-Fi network far beyond their normal range. They also used minimal power, making them practical for remote areas with limited access to the electrical grid. Unfortunately, the OLPC project failed to live up to expectations, running into many of the problems related to globalization discussed above: different cultures, corruption, and competition. 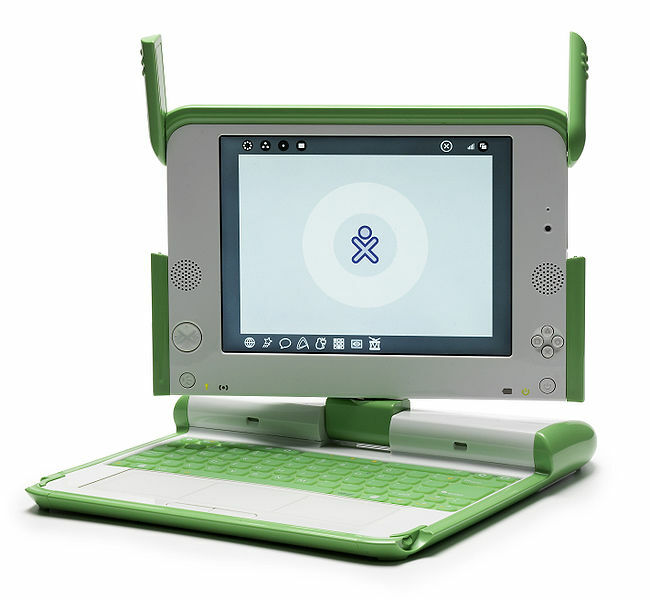 In an article that examined the success and failures of OLPC, the authors state, “Expecting a laptop to cause such a revolutionary change showed a degree of naivete, even for an organization with the best of intentions and the smartest of people.” Today, OLPC is evolving their methods and their technology, trying to deliver an OLPC tablet computer. In 2006, web-usability consultant Jakob Nielsen wrote an article that got to the heart of our understanding of this problem. In his article, he breaks the digital divide up into three stages: the economic divide, the usability divide, and the empowerment divide. What is usually called the digital divide is, in Nielsen’s terms, the economic divide: the idea that some people can afford to have a computer and Internet access while others cannot. Because of Moore’s Law (see chapter 2), the price of hardware has continued to drop and, at this point, we can now access digital technologies, such as smartphones, for very little. This fact, Nielsen asserts, means that for all intents and purposes, the economic divide is a moot point and we should not focus our resources on solving it. The usability divide is concerned with the fact that “technology remains so complicated that many people couldn’t use a computer even if they got one for free.” And even for those who can use a computer, accessing all the benefits of having one is beyond their understanding. Included in this group are those with low literacy and seniors. According to Nielsen, we know how to help these users, but we are not doing it because there is little profit in doing so. The empowerment divide is the most difficult to solve. It is concerned with how we use technology to empower ourselves. Very few users truly understand the power that digital technologies can give them. In his article, Nielsen explains that his (and others’) research has shown that very few users contribute content to the Internet, use advanced search, or can even distinguish paid search ads from organic search results. Many people will limit what they can do online by accepting the basic, default settings of their computer and not work to understand how they can truly be empowered. Understanding the digital divide using these three stages provides a more nuanced view of how we can work to alleviate it. While efforts such as One Laptop per Child are an excellent start, more work needs to be done to address the second and third stages of the digital divide for a more holistic solution. Paul Kim, the Assistant Dean and Chief Technology Officer of the Stanford Graduate School of Education, designed a project to address the digital divide for children in developing countries. In their project, the researchers wanted to understand if children can adopt and teach themselves mobile learning technology, without help from teachers or other adults, and the processes and factors involved in this phenomenon. The researchers developed a mobile device called TeacherMate, which contained a game designed to help children learn math. The unique part of this research was that the researchers interacted directly with the children; they did not channel the mobile devices through the teachers or the schools. Another important factor to consider: in order to understand the context of the children’s educational environment, the researchers began the project by working with parents and local nonprofits six months before their visit. While the results of this research are too detailed to go into here, it can be said that the researchers found that children can, indeed, adopt and teach themselves mobile learning technologies. Considering the rapid advancement of technology today, mobile learning options for future projects will only increase. Consequently, researchers must continue to investigate their impact; we believe there is a specific need for more in-depth studies on ICT [information and communication technology] design variations to meet different challenges of different localities. To read more about Dr. Kim’s project, locate the paper referenced in this sidebar. Information technology has driven change on a global scale. As documented by Castells and Friedman, technology has given us the ability to integrate with people all over the world using digital tools. These tools have allowed businesses to broaden their labor pools, their markets, and even their operating hours. But they have also brought many new complications for businesses, which now must understand regulations, preferences, and cultures from many different nations. This new globalization has also exacerbated the digital divide. Nielsen has suggested that the digital divide consists of three stages (economic, usability, and empowerment), of which the economic stage is virtually solved. What does the term globalization mean? How does Friedman define the three eras of globalization? Which technologies have had the biggest effect on globalization? What are some of the advantages brought about by globalization? What does the term digital divide mean? What are Jakob Nielsen’s three stages of the digital divide? What was one of the key points of The Rise of the Network Society? 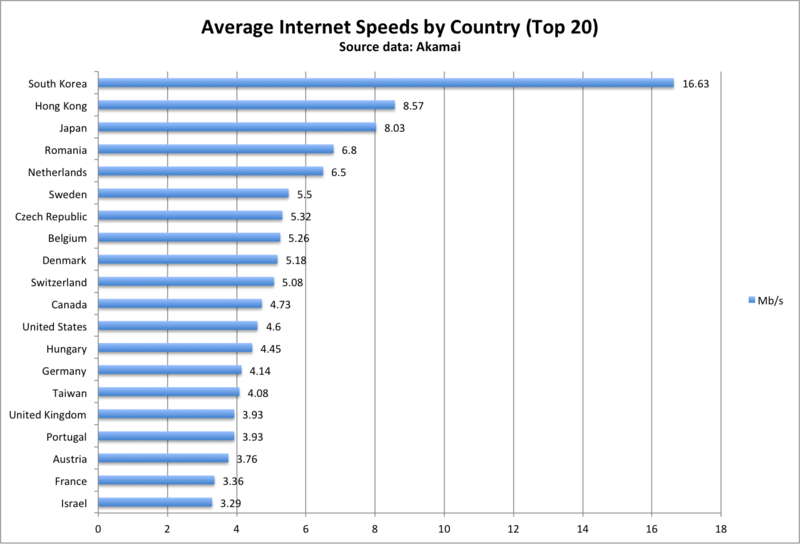 Which country has the highest average Internet speed? How does your country compare? What is the OLPC project? Has it been successful? Compare the concept of Friedman’s “Globalization 3.0” with Nielsen empowerment stage of the digital divide. Do some original research to determine some of the regulations that a US company may have to consider before doing business in one of the following countries: China, Germany, Saudi Arabia, Turkey. Go to speedtest.net to determine your Internet speed. Compare your speed at home to the Internet speed at two other locations, such as your school, place of employment, or local coffee shop. Write up a one-page summary that compares these locations. Give one example of the digital divide and describe what you would do to address it. How did the research conducted by Paul Kim address the three levels of the digital divide?